We are thrilled to announce dates for camps in 2019. More information and registration for each camp will be available soon. Save the date, sign up for CCIW’s Newsletter, and check back for further details! 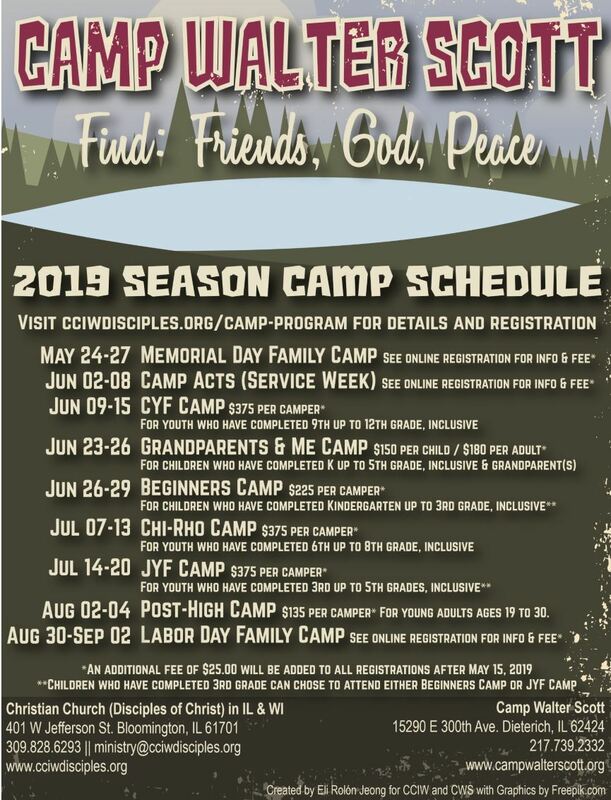 After three years of not being able to meet the minimum numbers of campers at Pilgrim Park, our Outdoor Ministry Team, with the support of our Ministry Leaders Team, has made the difficult decision to not hold camps at Pilgrim Park in 2019. We apologize for any inconvenience this decision might have. We do, however, encourage everyone to attend our scheduled programs at Camp Walter Scott in 2019.